Final Fantasy XV is a game that spent 10 years in development. Once it launched in 2016, Square Enix seemed determined to put as much effort as it possibly could to ensure the gaming world knew its name and went through the game. Part of this involves a DLC plan that extends its influence into 2019 with Ardyn, Aranea, Luna and Noctis add-on episodes, but the more interesting element is Final Fantasy XV Pocket Edition, which is essentially the Reader’s Digest Condensed Book version of the console game. 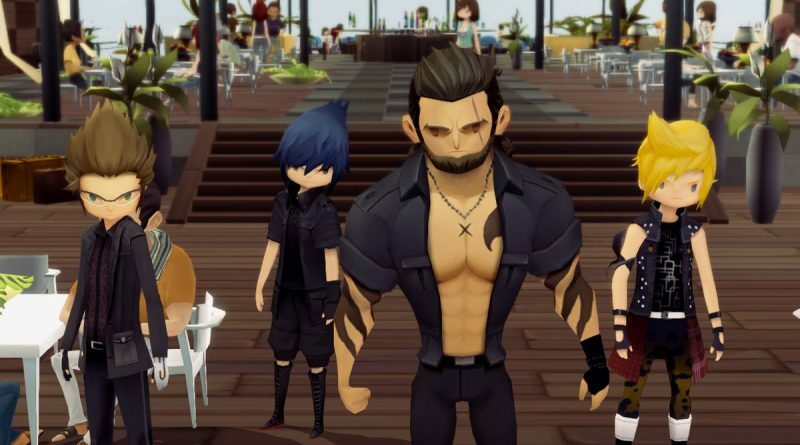 With the debut of Final Fantasy XV Pocket Edition HD on the Nintendo Switch, PlayStation 4 and Xbox One, players are seeing the most economical and time-friendly adaptation of a game Square Enix is trying to ensure everyone sees. 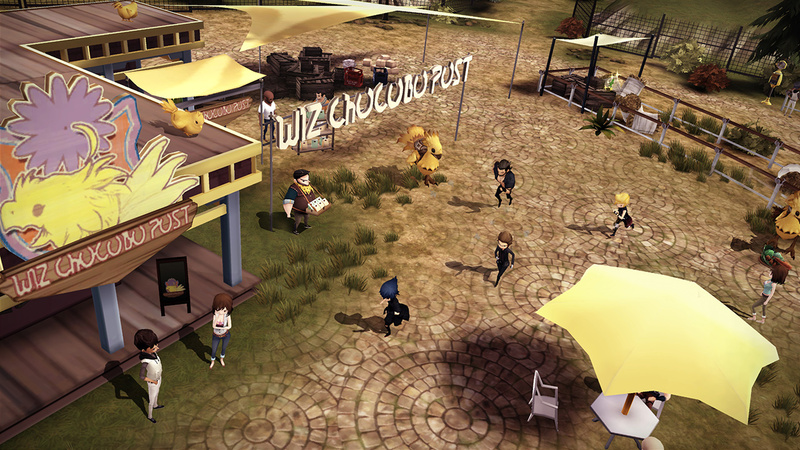 Final Fantasy XV Pocket Edition HD is all about the basics. Noctis, prince of Lucis, is going to marry Lunafreya, Tenebrae’s former princess and the world’s Oracle, as part of a peace treaty between the nations of Niflheim and Lucis. The adventure begins with a road trip to the wedding. Except after Noctis and his royal guard, his friends Ignis, Gladiolus and Prompto, head out, Niflheim breaks the pact. It assassinates Noctis’ father, steals Lucis’ Crystal and basically takes control of the other nation. It is up to Noctis to get the Royal Arms weapons from past Lucian kings, encounter the Astrals Lunafreya is traveling the world awakening, fight Niflheim’s agents and hopefully save the day. Essentially, a fun road trip with friends turns into a trek around the world of Eos to save humanity. An important thing to note about Final Fantasy XV Pocket Edition HD is that everything in the story that matters is present. 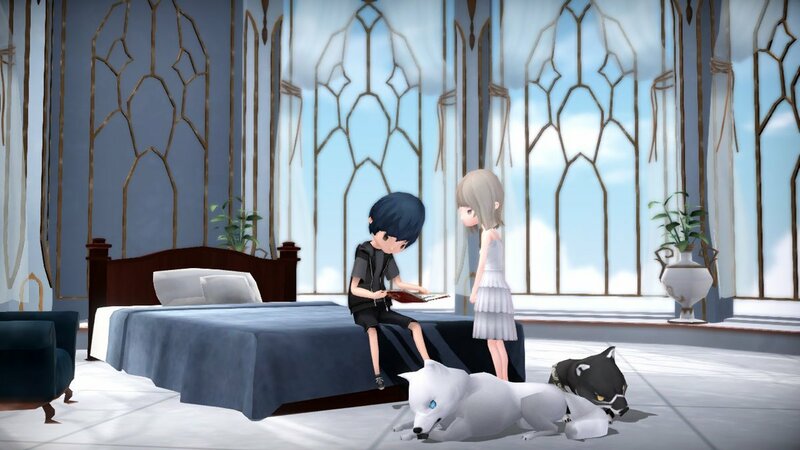 An important thing to note about Final Fantasy XV Pocket Edition HD is that everything in the story that matters is present. Noctis and his companions are going through the same journey. All of the major story elements are preserved. The voice acting remains. All locations are recreated. The character designs are all stylized, so they have the same general appearance, but each all attention to certain hallmark features that make every person stand out. Even some sidequests that offer narrative insight into certain character personalities, such as collecting fallen hunters’ dog tags or gathering ingredients for Ignis’ recipes, remain. What made the narrative unique in Final Fantasy XV has been preserved in Final Fantasy XV Pocket Edition HD. The battle system tends to keep everything people needed from Final Fantasy XV too. Noctis can still switch between Royal Arms on the fly, to offer different tactical advantages. He can use his royal abilities to essentially teleport across the battlefield, either to reach specific areas more quickly or take advantage of an enemy’s momentum to counterattack or dodge. Allies will still give you an option to call upon them for a special move. 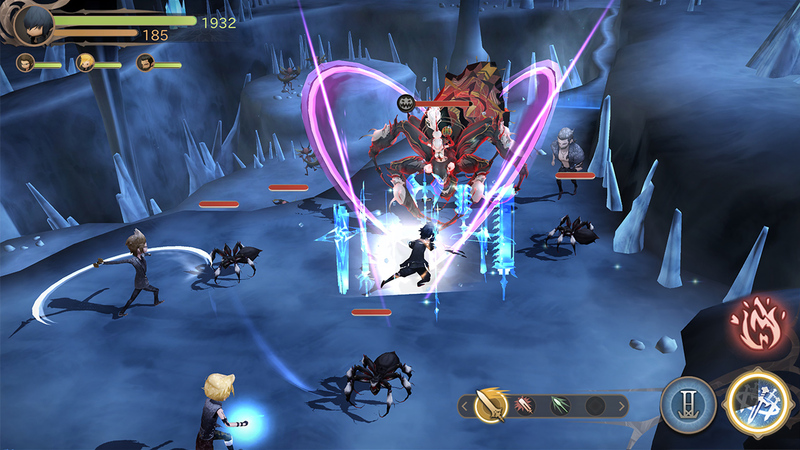 Final Fantasy XV Pocket Edition HD excels over the original mobile release, due to the ability to use buttons in these segments. It is easy to trigger attacks, swap equipment, call upon ally skills and use items. What I especially like about Final Fantasy XV Pocket Edition HD is how easily digestible it is. Final Fantasy XV can be a complicated game. There is a lot of lore here, there are issues between countries, certain people get split up during portions of the story and there was a whole chapter in the original game that was reworked to make it more clear. This adaptation portions things out in segments you can enjoy in 10-20 minute blocks or more extended sittings. There is less confusion, since we are not caught up in a sprawling world with too many different things to see and do. There are some areas in which this adaptation of Final Fantasy XV falters. The major issue is how linear an experience this is. When you play Final Fantasy XV Pocket Edition HD, there is only one way to go: forward. You can not go back. You do not deviate from the path in any major way. The story is divided into bite-sized segments. Which is a hard shift from the console and PC version of the game, which is a more open experience. But for people who are more familiar with how Final Fantasy games work, it is quite a change. What I especially like about Final Fantasy XV Pocket Edition HD is how easily digestible it is. 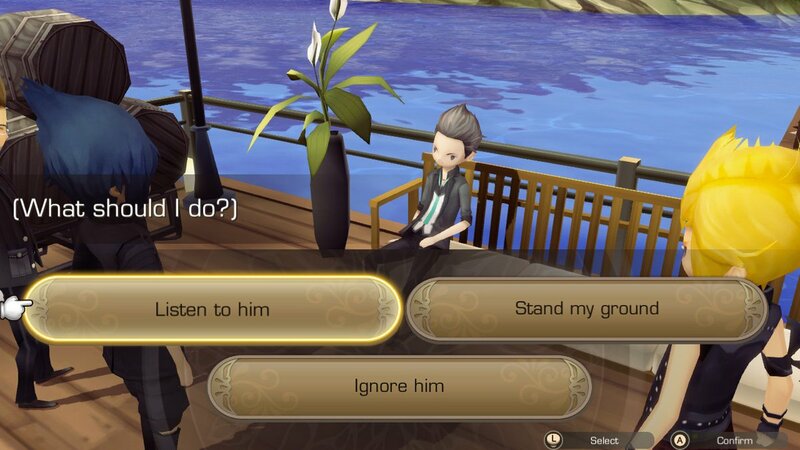 The saving issue can also be a problem in Final Fantasy XV Pocket Edition HD. You can not just go into the main menu, choose a save slot, then save. It relies entirely on an autosave system, which is not the best. These autosaves tend to kick in when you enter an area for the first time or complete a quest. Yes, it seems like most of the segments can each be completed in about 15 minutes and the Nintendo Switch is a great system to put to sleep as needed, but I feel like the lack of an option to save at specific points or any time is a major tick against something you are designed to pick up, play, then put down at any time. Final Fantasy XV Pocket Edition HD definitely has its perks. For people who don’t have the 30-50 hours needed to complete Final Fantasy XV, it gives them a chance to see everything critical in a more condensed experience. Those who shied away from the original mobile release, due to its reliance on touch controls or piecemeal structure, can have a more cohesive way to play through the story with buttons. 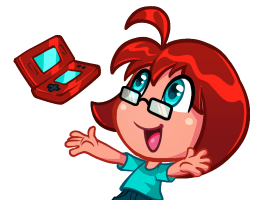 It is not a perfect adaptation, as the save system can be frustrating and it does always force you forward, but it is a good way to get in on a notable JRPG in a different way.